The Chemistry Chemiluminescence Demonstration is a visual explanation of an exothermic reaction. 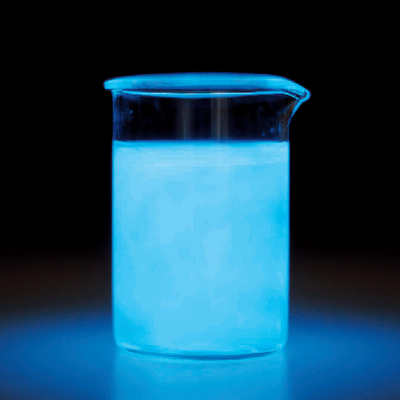 If the energy released during a chemical reaction is light, it's called chemiluminescence. With this activity, teachers can show this phenomenon in the classroom. The demonstration can be completed in ten minutes. Ordering information: This kit includes hydrogen peroxide and luminol solution. General glassware and labware are required.